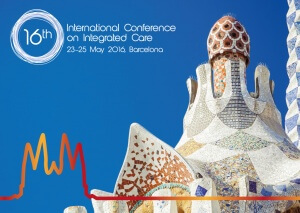 I spent two very pleasant days in Barcelona earlier this week at the International Conference on Integrated Care. It was their 16th conference, my first. For those who were there at the start, it must have been an amazing journey to see what was once a fringe topic become such a major one in so many countries today. I am sure they have played a big part in making that happen. With over 1,000 delegates from more than 50 countries it was an excellent opportunity to look outside of one’s own context. The striking thing is how similar the challenges are. Most presentations whether from Europe, Asia Pacific, Americas, all started with the demographic and economic imperatives that the UK is well versed in. Inequalities as an underlying cause of so much poor health seemed universal. Not only that, the phrases used are strikingly similar whatever the language of origin. I heard “no decision about me, without me” in Catalan, “person centred care”, “capitated budgets”, “GP co-operatives”, “asset based approaches” from people from all over the world. Indeed, a couple of presentations from the NHS seemed somewhat parochial, using our jargon and acronyms even though the audience was a little lost and baffled. The chair of that session commented that we seem to overcomplicate things and, while not all of the audience agreed, I think he had a point. Deirdre Heenan from Northern Ireland talking about their long (since 1973) integrated system and their high levels of mental illness and suicide – a great, passionate and informed talk which stayed with me for a long time. She emphasised the need to involve other agencies in integration, particularly education. April Kyle from Nuka – I knew a little about Nuka from others but hearing it from an Alaskan who was part of that change was wonderful. It truly is a people led and people owned organisation. Angela Coulter and Don Redding on people centred care. Once again, after you’ve heard people talking about integration as meaning systems involving people, voluntary sector, housing and education, it makes those initiatives which just bring health organisations or even health and social care together seem a little unimaginative. Talking about our poster – although, as always with posters, this felt peripheral compared with the presentations, I had some fascinating conversations with people who stopped by and others who had their own posters to present. So a great conference, brilliantly organised and full of interesting people, talks, ideas. Well done to Nick Goodwin and the International Foundation for Integrated Care. Next years conference is in Dublin on 8-10 May 2017. I recommend. LH Alliances brings a unique and powerful combination of expert knowledge of health and social care in the UK as well as extensive experience of alliancing and alliance contracts in other sectors and in other countries. Talk to us about your aspirations for transformational change in your local services. We are as passionate as you are about improving care for patients and people who use services. A Road Trip or Executive Travel?